Session Overview: This session will be hosted as a rapid-fire presentation series by local experts in key building performance areas. Participants will learn the specifics of how to consider any upfront investment based on life-cycle costs and other economic metrics. The presenters will discuss key energy consuming building systems and synergistic opportunities of a whole-building approach. Mechanical, Electrical, Controls, Building Envelope, and Commissioning processes will all be a part of the discussion. Ally Duncan, CBCP, LEED AP BD+C, is a Commissioning Agent with Glumac San Diego. An energy engineering graduate of James Madison University in VA, Ally began her career in Washington, DC, providing sustainability and commissioning expertise to a variety of high-profile projects and interesting programs, such as the new Smithsonian Institute’s National Museum of African American History & Culture on the National Mall, United States Capitol Building, John F. Kennedy Center for the Performing Arts, International Monetary Fund’s Headquarters building, Georgetown University, as well as the Department of Energy’s Zero Energy Ready Homes Program. Recently relocated to the West Coast, Ally is proud to utilize her government, commercial, and healthcare experience in support of Glumac’s innovative projects. Brian Alexy develops and implements energy-saving HVAC upgrades for San Diego Mechanical Energy. After graduating from Georgia Tech in 2003 with a degree in Industrial & Systems Engineering, Brian worked for two different HVAC equipment reps on the east coast before the sustainability movement lured him out to California in 2010. Since then, Brian has been working as a HVAC service contractor dealing directly with building owners. His primary focus is identifying energy retrofits by leveraging his knowledge of HVAC equipment with energy rebates and incentives. Brian is a LEED Accredited Professional and serves on the San Diego ASHRAE chapter board as the President-Elect and Programs chair. Travis is the CEO of Absolutely Electric Inc. Travis, LC, is a 4th Generation Design/Build Electrical Contractor and a Nationally Accredited Lighting Design Professional. Mr. Nixon has 22 years’ experience in the electrical construction industries across all sectors, including twelve years designing and building photovoltaic (solar) power systems, and eleven years designing fine and energy efficient lighting and lighting controls’ systems. Mr. Nixon founded the Electrical Construction Firm Absolutely Electric Inc. in 2004 and co-founded NixonChristophers Lighting Design in 2010. Mr. Nixon is a frequent lecturer on the subject of artifact lighting, energy efficiency, and advanced energy topics. Tom Abram is the Energy and Sustainability Officer at San Diego State University. At SDSU, Tom focuses on strategic planning to develop and advance sustainability initiatives, including climate action, energy, water, and waste. Tom was the primary author of SDSU's Climate Action Plan. Tom's previous experience includes mechanical design for deep green and net zero buildings at Integral Group and Sustainability Coordinator at the University of Illinois - where he co-authored their Climate Action Plan. Tom holds a Masters Degree in Sustainable Design and Construction from Stanford University and a BS Degree in Electrical Engineering from the University of Illinois. He is a Professional Engineer, LEED Accredited Professional, and Certified Energy Manager. 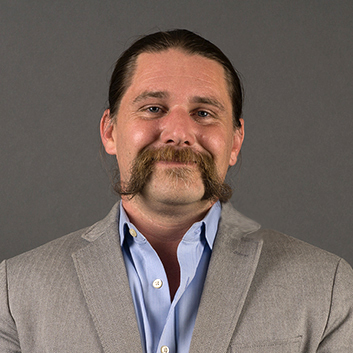 Matthew is a Principal at BNIM and leads the firm’s presence in San Diego. In his experience, Matthew’s leadership with integrated design teams allows him to produce award-winning designs and high performance buildings. Matthew has acquired a comprehensive range of relevant skills, knowledge and expertise integrating sustainability throughout all aspects of design. His involvement in large, complex projects has allowed him to hone his ability to creatively solve challenging project issues related to functional design, technical integration, use of innovative materials, long-range scheduling and overall project management.